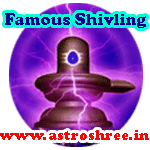 Famous shivling in India, Panch Kedar names, popular shiv temple in India. Lord shiva is omniscient, omnipowerful and omnipresent and in whole world we can find temples of shiva. Every one believe in shiva and worship in different manner. Shiv temples are said to be most sacred and powerful place to perform spiritual practices, prayers. For decades people are worshipping shiva to make life successful. Here in this article we are going to see some famous shivling names where thousands of people regularly come to seek blessings. Mahakaleshwar Shivling near river kshipra In Ujjain, Madhya pradesh is very famous and people from world wide come here to offer there prayers. Onkareshwar and Mamleshwar Shivling in Onkareshwar, Madhya Pradesh at the bank of river Narmada are famous. Somnath shivling present in kathiyawad, Gujarat at the bank of Arabian Sea is a very famous shivling. Mallikarjun in shree shail hill in south near Krishna river bank. Kedarnath shivling in himalya is also very famous. Bheemashankar shivling at the bank of river Bheema in Maharasthra near Pune. Vishweshar shivling in Varanasi/Kashi is also very famous. Trayambakeshwar shivling in nasik near bank of river Godavari is also very famous. Baidyanath shivling in bihar is also very famous. Rameshwar shivling in south near kanyakumari where Ram has performed prayer while going for battle. Dhushmeshwar shivling in Ellora is also very famous. Nageshwar shivling near dwarika, Gujarat is also very famous. Muktparmeshwar shivling in Arunachal pradesh. Hatkeshwar shivling of Badnagar, Madhya pradesh is also very famous. Madhyameshwar, Vyaseshwar, Madhyameshwar, Harishwar shivling of Kashi are also very popular. Gaurishankar shivling of jabalpur is also very famous. Mahabaleshwar shivling of Pune is also very famous. Brihadeshwar shivling in Tanjor is very popular. Pashupatinath shivling in Nepal is very popular. Amarnath shivling is also very popular. Tarkeshwar shivling of bangal is very popular. Bhuvneshwar shivling is also very popular. 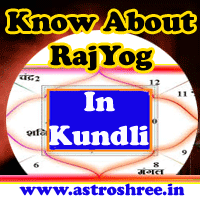 Kandariya shivling of khajuraaho is also very famous. Ekling shivling of udaipur, rajashthan is a famous. Pratigyeshwar, kumareshwar, kapaleshwar shivling in Kronch Hill is very famous. Ajay Amreshwar shivling present in Mahendra Hill is also very famous. So above are some famous shivling present in India where devotees feel the power of shiva regularly, saints and yogis perform there spiritual practices near shivling to get success as early as possible.